Welcome to your week Junebug readers – have I got a treat for you! 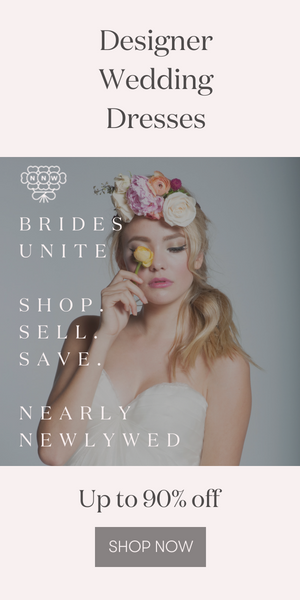 Today is the day we’re unveiling our all new Bridal Market Fashion Report! This is a project that I’ve been dreaming of putting together for years, so what a huge thrill it was when I got to take three ultra-talented photographers, John and Joey Hong from John and Joseph Photography and Jane Hong from Jane Lee Photography, behind the scenes at the Angel Sanchez, Amsale and Monique Lhuillier Fall 2011 fashion shows during NY Bridal Market. Our goal was to capture the events like flies on the wall so that you could take one look at the images and know what it feels like to be right there in the middle of all the action. Happily, I do believe we’ve hit the mark. Take a peek at a few of the incredible images that John, Joey and Jane captured below (as well as a few personal snapshots of our trip) and then jump over to our Fashion Report section to see the whole feature! And although the following photos are only from my iPhone (please forgive me for posting them fellow professional photographers of the world!) this is how I saw the week – through constantly grateful and excited eyes watching my crew work so very hard to make this Fashion Report happen. John, Joey and Jane, you’re the best! Huge thanks also to the teams at Angel Sanchez, Amsale and Monique Lhuillier for being so talented and gracious, and for allowing us such incredible access to their beautiful shows! Oooo the short dress with a tulle skirt and pockets is amazing!! Really cutesy but still really elegant!! The fashion report is stunning. Bravo Jane, John and Joseph! What a fun trip, and team! You all seem like great collaborators. I love seeing the before shots leading up to the fashion shows. Very cool! Thats really cool – love this! What a fantastic/fun collection! Btw that photo of you exiting the cab is amazing! The behind-the-scenes concept is excellent! We want to see blogger in action!